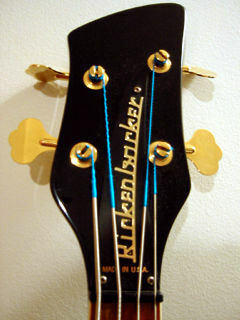 Rickenbacker® Model 2050 "El Dorado"
Model 2050 "El Dorado" Model 2050 "El Dorado"
Model 2050 "El Dorado", introduced in 1984. Gold tuning keys, bridge and hardware on a double cutaway bound body. The fingerboard is bound rosewood with dot inlays. 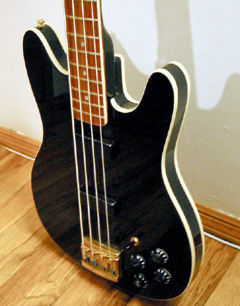 The electronics include two pickups and an active tone circuit. 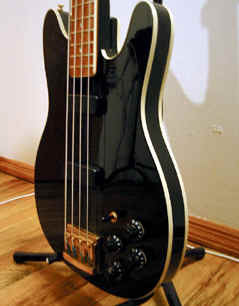 The factory equipped the Model 2015 with round wound strings. Discontinued in 1992.